This blog is written to provide the best free methods to Convert NSF file to PST file in Outlook 2016, 2013 and earlier without Lotus Notes installation when you want to switch from IBM Lotus Notes to MS Outlook. Generally, we use email clients for sharing our emails in our profession or in our daily life. However, there are certain situations or you can say circumstances in which you have to switch from one email client into the other one. So, here I am going to discuss the same matter “how to convert NSF files into PST files”. 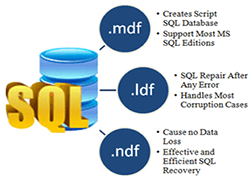 The NSF file format is of IBM/Lotus Notes whereas PST file is in Outlook. Here, the scene will be if you want to change email client from IBM/Lotus Notes to Outlook. Now, have look at best free methods which I am going to discuss them in this blog. 1. Manual Method: In the manual method first you have to take the backup of NSF files. Afterward, you have to export NSF files into an intermediate CSV file. Then, these intermediate CSV files are moved to Outlook. 2. Third – Party Tool: By using a third-party tool you have to do fewer efforts. Just download the tool and follow the few instructions. Your conversion is done in very less time. I will discuss these methods in detail after discussing the situations which create the requirement to convert NSF files into PST files. 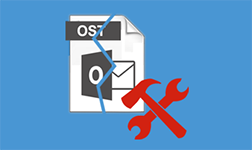 Here, I am mentioning the some of the situations in which user need to migrate from IBM/Lotus Notes to Outlook. When you change the company for a job might be the email clients is different from the previous company. Likely IBM/Lotus Notes was your previous email client and currently, you are using Outlook. Outlook is more affordable than the Lotus Notes. In the Outlook, multiple users can be configured at the same time. The Outlook is more likely preferable over the other email clients because it has a very interactive user interface. If you compare the Lotus Notes is more typical for the novice users. So, let’s see how to migrate from Lotus Notes to Outlook. Open the IBM Lotus Notes application. Navigate to File and click on Open. The Open Application window will be pop-up. Find the required NSF file and click on Open. The selected NSF file will be opened. Go to File menu, and click on Export. Under the Export message box, mention the file name, file location, and save as type. Choose the Comma Separated Value type for the saving. A dialogue box CSV Export gets displayed. Choose the options which are required. Then click on OK. The exported data will be saved in CSV file at the desired location. Navigate to File menu, and click on Open & Export, and then click on Import/Export option. An Import and Export Wizard dialogue is displayed. Choose the option Import from another program or file. Click on Next. Choose the Comma Separated Values as file type and click on Next. Hit the Browse button and choose the location for created CSV file. Click on Next. Choose the Outlook folder for saving the exported file and click on Next. Mark check on the checkbox under the Import a file dialogue box and click on Finish. The importing of data from the CSV file to MS Outlook is done. The above method has some limitations which like it a time-consuming process. It will convert single NSF file at a time, you have to repeat the process for the other files. It is not sure the entire data will be converted to Outlook or not. To overcome these demerits you can try the third-party tool. 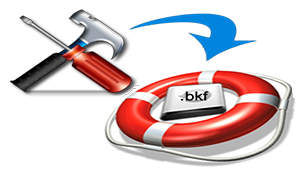 You can opt for third-party NSF to PST Converter tool. This tool overcomes the demerits of the manual method. It can convert all your data from Lotus Notes to Outlook in few clicks. There is an option for selecting more than single NSF file at a time for the conversion. It can also safely eliminate encryption from NSF files before NSF to PST conversion. Hope this blog is helpful to you. Here, two methods are discussed manual and third-party tool. The use of a third-party tool is suggested because the manual method has some limitations.